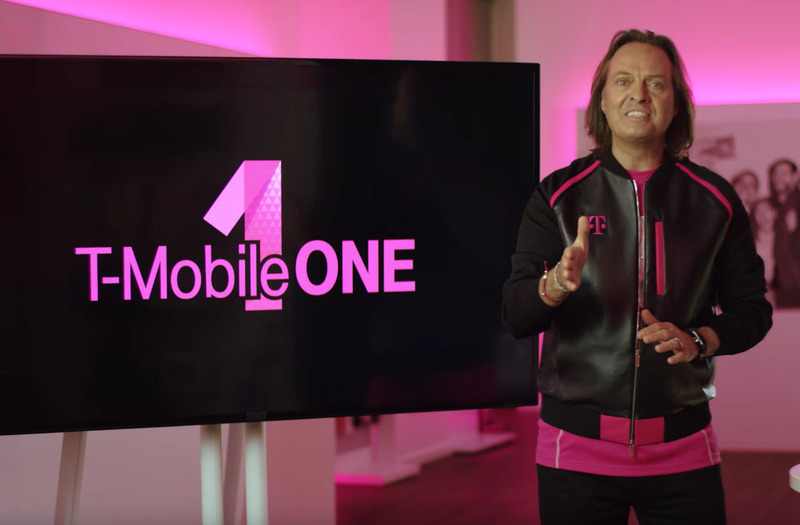 Shortly after T-Mobile introduced the T-Mobile ONE plan a couple of weeks back, the backlash over its sneakiness and lack of value was swift and harsh. And rightfully so, as the plan wasn’t exactly built to be the ultimate unlimited plan that T-Mobile described. It included a number of major issues, like the fact that it was a terrible option for individuals who like HD video and need high-speed data for tethering. Today, because T-Mobile says that it does “something the [other] carriers would never do,” which is listen to customer feedback, changes to the ONE plan have been introduced, along with a new “Plus” option. So what’s new? Quite a bit actually. 1. Unlimited hotspot speed increase: To deal with the issue we had with 2G (128kbps) unlimited hotspot, T-Mobile says they have upped the speeds to 3G (512kbps) at no extra cost. While not LTE speeds, 3G is obviously at least somewhat useful for a quick tethering session, whereas 2G wasn’t going to be worth the trouble. T-Mobile says that the bump to 3G is included in the plan and 2G speeds are gone. 2. Single day HD video passes: Because not everyone was interested in paying an extra $25 per month for HD video streaming and might just want it here and there, T-Mobile is providing single day HD video passes. These cost $3 per day and give you HD video options for 24 hours. 3. The new T-Mobile ONE Plus option: Finally, the big new introduction for today is the Plus option for those who actually like to use high-speed data for all things. With this plan, you pay an extra $25 per month per line on top of the $70 plan (with autopay) to get unlimited high-speed 4G LTE hotspot tethering, an unlimited number of HD video day passes, and 2x faster speeds when traveling abroad. There are a number of changes here from the regular plan. For one, you are now looking at a per month cost of $95 (with autopay). In other words, this is now the same cost as the current unlimited data plan that T-Mobile offers as a Simple Choice plan, though it may even be slightly better for data hogs. The current plan limits you to 14GB of high-speed tethering, but this plan is unlimited tethering. As for the HD day passes, T-Mobile is giving Plus customers an unlimited amount, but that does mean you will have to toggle them on each day you need them. In a way, it’s like how you had to opt-out of BingeOn with your unlimited plan, only now you have to do it every single day to continue to see HD or better video. Are these new plans any better? Well, yeah, they are better and these changes do address two of the biggest pain points that we talked about in this post. If you want to use lots of data, you now have the Plus option which may have more data than the current unlimited plan. So that’s a good thing. And look, good on T-Mobile for taking the feedback and making changes. Few companies in any field do these things. Even the last time T-Mobile dealt with significant backlash (that would be the BingeOn mess), their CEO didn’t exactly accept the criticism and lashed out at anyone who questioned his company’s decision. Also, T-Mobile has moved up the start date for T-Mobile ONE to September 1.